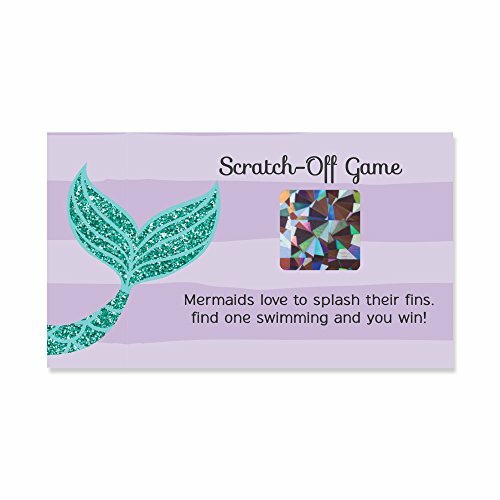 Try these Let's Be Mermaids baby shower or birthday party game ideas: SIMPLE: Hand a scratch off game card to guests as they arrive. QUICK: Set a scratch off game card at each spot at the tables so guests can play as they enjoy the meal. FAVORITE: Hand out individual scratch off cards as mini prizes during longer games, such as gift bingo. Have everyone scratch at the same time and the winners get a grand prize. 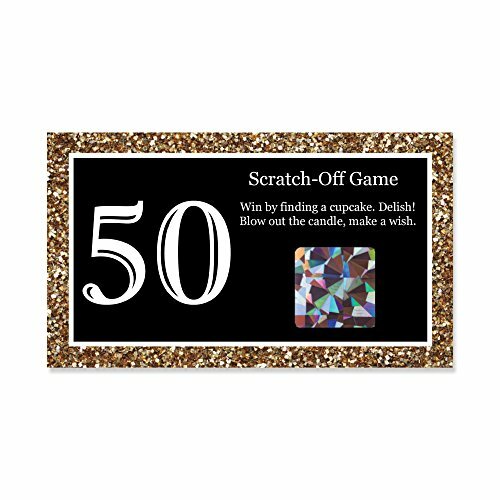 Try these party game ideas for your Adult 50th Birthday Black and Gold party: SIMPLE: Hand a scratch off game card to guests as they arrive. QUICK: Set a scratch off game card at each spot at the tables so guests can play as they enjoy the meal. FAVORITE: Hand out individual scratch off cards as mini prizes during longer games, such as gift bingo. Have everyone scratch at the same time and the winners get a grand prize. 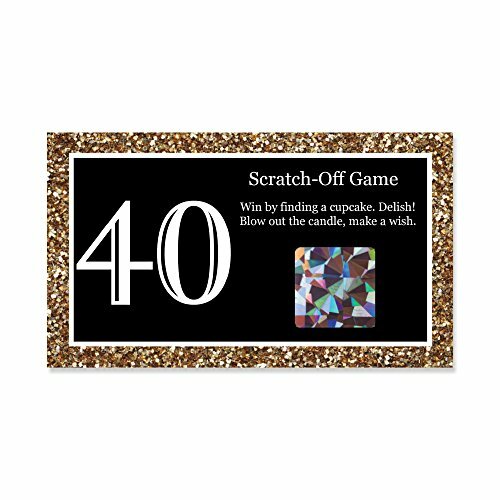 Try these party game ideas for your Adult 40th Birthday Black and Gold party: SIMPLE: Hand a scratch off game card to guests as they arrive. QUICK: Set a scratch off game card at each spot at the tables so guests can play as they enjoy the meal. FAVORITE: Hand out individual scratch off cards as mini prizes during longer games, such as gift bingo. Have everyone scratch at the same time and the winners get a grand prize. Try these party game ideas for your Adult 30th Birthday Black and Gold party: SIMPLE: Hand a scratch off game card to guests as they arrive. QUICK: Set a scratch off game card at each spot at the tables so guests can play as they enjoy the meal. FAVORITE: Hand out individual scratch off cards as mini prizes during longer games, such as gift bingo. Have everyone scratch at the same time and the winners get a grand prize. 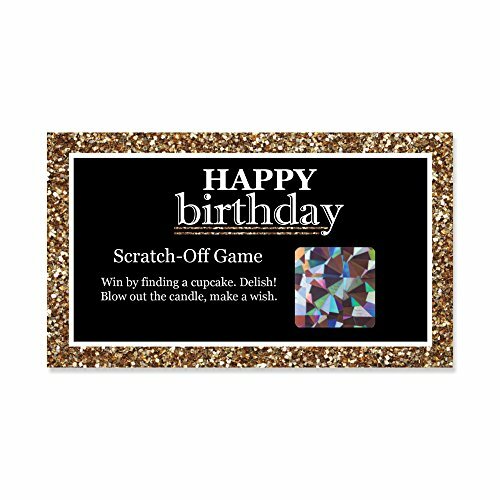 Try these party game ideas for your Adult Happy Birthday Black and Gold party: SIMPLE: Hand a scratch off game card to guests as they arrive. QUICK: Set a scratch off game card at each spot at the tables so guests can play as they enjoy the meal. FAVORITE: Hand out individual scratch off cards as mini prizes during longer games, such as gift bingo. Have everyone scratch at the same time and the winners get a grand prize. Try these party game ideas for 21st party or for any special event! 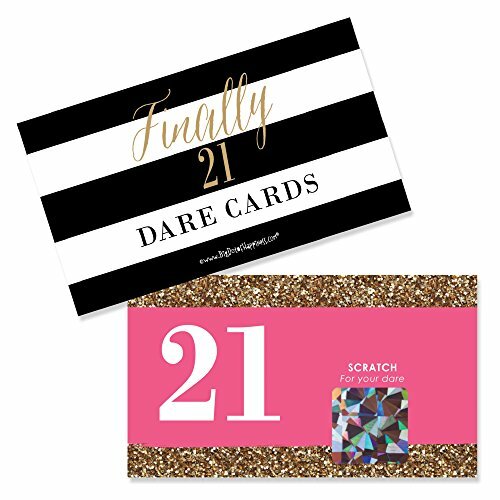 Make your Finally 21 Girl - 21st party memorable with this set of 22 scratch off dare cards. Fun and exciting but not too risqué, these dares are perfect for any crowd. Scratch a card to find dares such as "Get a Piggy Back Ride" and "Give Someone Else a Dare" are great for the shyest party goers while a bit more outgoing ones like "Kiss the Bartender" are also included in the set. Find three ways to play below or make your own rules as the night goes on. 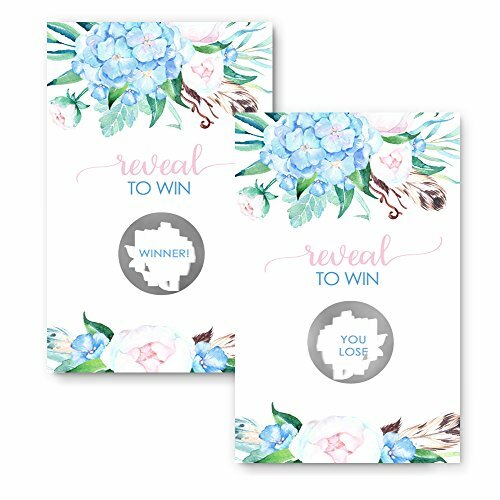 How gorgeous are the blue floral scratch off cards, the elegant and stylish way to entertain your guests. 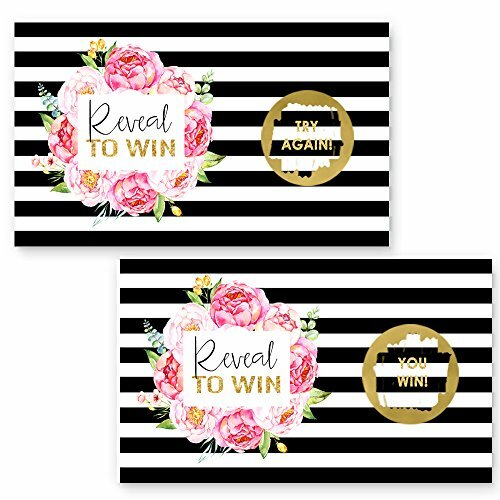 Pretty floral designed activity cards that really are perfect for any celebration you are hosting and super easy to play. Each individual game card is solid white with a mix of blue flower blooms with accent colors in pink, and taupe. Modern floral game card sized at 2" inches wide by 3.5" inches high. Included are 28 total scratch and win cards per pack, with 25 losing cards and 3 winning cards. Every age can play this scratch off game, while providing you a fun and easy way to amuse your guests. We have packed the losers separate from the winning game cards, so you know which is which. Game cards have each guest busy scratching to see who will win the prize. The winning cards reveal "winner", losing cards "try again". There are so many uses for this scratch off party game set. 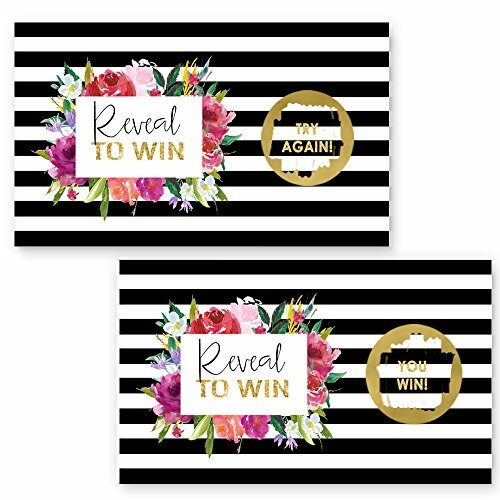 You can use the cards for a boy or girl baby shower, diaper raffles, birthday party, bridal shower, couples night out, free drinks at your wedding or even as prize giveaways at other functions. Easily coordinates with a variety of popular party themes. Playing Some Scratch off Lottery tickets for my birthday!